As its name might suggest, Industrial Way is not known for being pedestrian-friendly. The road in the Northern California city of Benicia is lined with trucking companies, warehouses and metal-finishing factories. As it curves north, before it turns into Channel Road, the street cuts under busy Interstate 680. So when Cpl. Kirk Keffer of the Benicia Police Department spotted a lone, lanky teenager walking on Industrial Way during the graveyard shift a few Saturdays ago, he was curious. It was after 11 p.m. and dark outside, and the boy was just nearing the highway overpass. “Usually in the industrial area, there’s no foot traffic, so it was kind of weird to see someone walking around on foot,” Keffer told The Washington Post. He stopped his patrol car, got out and called out to the pedestrian. Was he okay? What was he doing out there by himself? 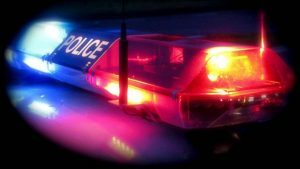 The teenager, 18-year-old Jourdan Duncan, was equally startled at first. Duncan told Keffer he was walking back to his parents’ home in Vallejo. He had just gotten off from his job at Pro-Form Laboratories, where the teen worked on the packaging line from 3 p.m. until around midnight. “Vallejo? That’s like seven miles away,” Keffer said he remembered saying to Duncan. Soon, he had cleared out the passenger seat in his patrol car and offered Duncan a ride home. On the drive, Keffer asked the teen more questions. Why Benicia? Why not drive to work? He was agog that anybody would walk more than two hours each way, every day. Duncan explained that he had just graduated from Jesse Bethel High School the year before. He had gotten a job at Pro-Form Laboratories in May, and enjoyed being around his co-workers. He was saving money for college, he said — but really wanted to be an officer with the California Highway Patrol, to follow in the footsteps of some relatives who were in law enforcement. When the timing belt and an engine valve on his 2001 Volvo broke in July, Duncan got a few rides from friends and co-workers, but soon decided he would try to walk to avoid burdening others. Duncan never told his parents he started walking. (“They thought I was getting rides every day,” he admits.) The first time he plotted out a walkable route on Google Maps, it spit out an estimated commute time of 2 hours and 15 minutes. That was in July. Gradually, the foot commute grew easier for him. “The walk now, it’s not a problem for me,” he said. By the time Keffer pulled up to Duncan’s parents’ house that night — all of 15 minutes later, by car — the police officer was impressed. Most people won’t even walk down to the store, he joked. They parted ways and Keffer returned to the police department in Benicia. Still, he couldn’t get Duncan’s commute out of his head. He mentioned his interaction to his shift supervisor, who, like Keffer, happened to be a board member of the Benicia Police Officers’ Association. They emailed the rest of the board to seek approval to buy a bicycle. It was, he said, one of the fastest votes they’ve ever taken: Within an hour, enough board members wrote back in agreement. And so, the following day, Keffer visited Wheels in Motion, a local bike shop. He was looking for a good mountain bike, Keffer explained to the owner. Something with a reliable gearing system that could handle Benicia’s steep hills. The longtime shop owner, Greg Andrade, helped him pick out a $500 Giant-brand bicycle — and loved the teen’s story so much that he also donated a lighting system, brake light and helmet. The only matter left was how to surprise Duncan. Keffer looked up Pro-Form Laboratories and dialed the company, asking for Duncan’s boss. Then, he explained their encounter the night before. Was Jourdan scheduled to work Monday? Would they mind if a few officers stopped by the warehouse to surprise him with something? That Monday night, Sept. 19, Duncan’s supervisor called him out and told him to go outside. Some policemen were waiting for him. Once again, Duncan was taken aback. His boss assured him he was not in trouble. Outside, he spotted Keffer, along with some other Benicia police officers. 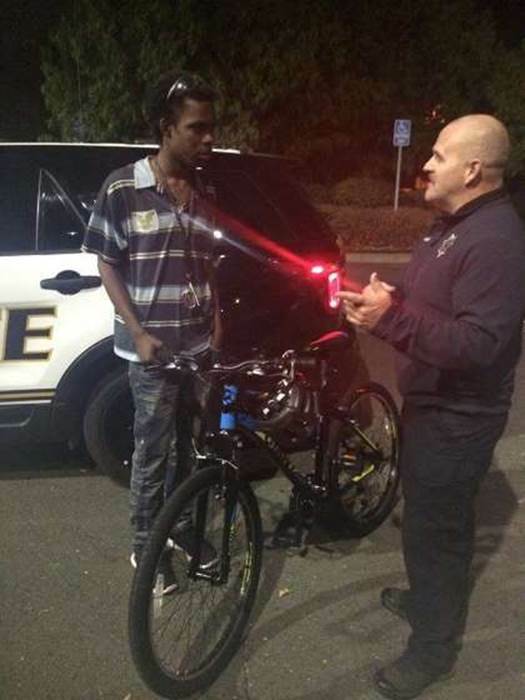 The bike was a token of their gratitude, the officers said. Keffer said that was precisely what moved him to do something for Duncan. And Duncan said the bicycle has made him “feel more at ease” with his commute, which has now been cut down to an hour. Duncan said he and Keffer are keeping in touch, and that Keffer has offered to take him on a ride-along so he can get a better idea of what being a police officer is all about.